Fall is a great time for the kids to explore many of San Diego’s free outdoor activities including the beach, hiking sports, sightseeing and more. Head to one of San Diego’s 33 beaches, all open to the public, and perfect for body surfing, boogie boarding, building sandcastles, collecting seashells and basking in the sun. Catch a magnificent Pacific sunset and watch sea lions play along the shoreline at La Jolla Cove, one of the most spectacular natural settings in the world. Take free fly-fishing lessons from the San Diego Fly Fishers club on Sunday mornings from 9:00 AM to 12:00 PM at Lake Murray, located in La Mesa. If you don’t have your own gear, arrive early for a free equipment loan. Sample some of the more than 200 varieties of fresh produce grown in San Diego at one of the region’s many Farmer’s Markets, held daily at locations throughout the county. Bike, walk or play along Mission Bay Park’s many trails. Bikers, walkers and joggers share more than 20 miles of scenic paths winding through sunlit and shade near the shoreline. Rollerblade, skateboard, or bicycle along the Mission Beach and Pacific Beach Boardwalk, a scenic three-mile boardwalk running along the coastline of these lively neighborhoods. Take a scenic drive to Mt. Laguna to hike, bike or picnic while enjoying the fresh mountain air whispering through the pines. Hike the trails of Torrey Pines State Reserve and see the rare and elegant Torrey pine trees, a number of animal species and miles of unspoiled beaches below. Visit Mission Trails Regional Park featuring a state-of-the-art Visitors Center where guests explore and learn about the wonders of nature and the native people who once lived on the land. The park also offers over 40 miles of natural and developed hiking and biking trails. Go scuba diving or snorkeling off San Diego’s shores to see spectacular creatures of the sea. La Jolla Shores and Cove offer some of the clearest waters on the California Coast, as well as miles of protected underwater preserve to explore. Walk along the downtown Embarcadero and view impressive public art sculptures, tributes, and memorials set along San Diego Bay. The artworks celebrate San Diego’s international ties, cultural diversity, military significance and unique oceanfront environment. 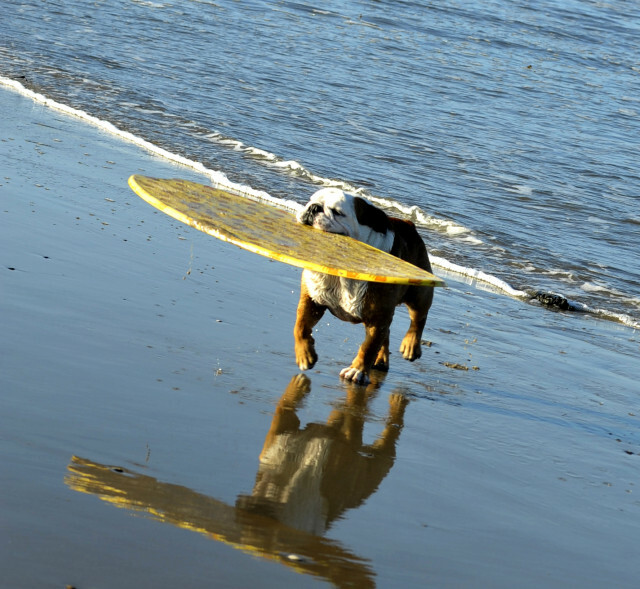 Watch tail-waggin’, Frisbee-catchin’ and stick-fetchin’ dogs splash in the surf. 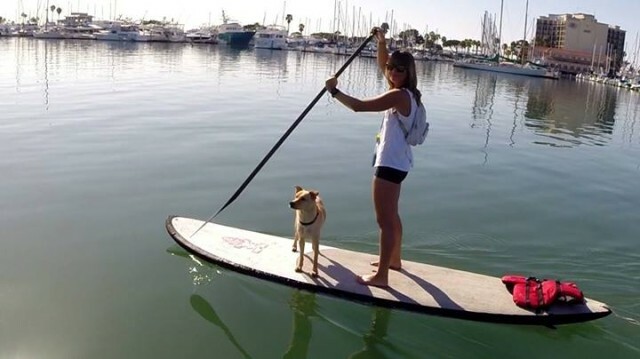 Man’s best friend is permitted to roam leash-free at all hours of the day on designated dog beaches in Ocean Beach, Coronado and Del Mar. Talk a walk through Balboa Park, the largest urban cultural park in the United States, and discover its beautiful Spanish Colonial-Revival architecture and glorious gardens. Also, visitors can take advantage of the Park’s variety of other free offerings, including ranger-led walking tours at 11:00 AM on Tuesdays and Sundays. 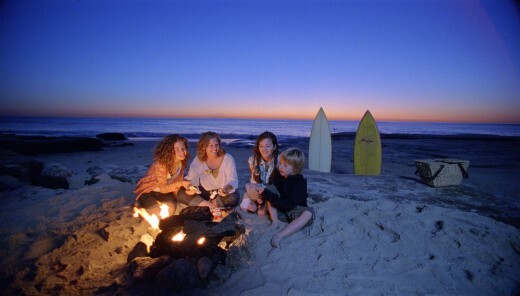 Gather friends, family and firewood for a cozy beach bonfire at one of San Diego County’s bonfire-friendly beaches, located in Coronado, Ocean Beach, Oceanside, Mission Beach and Pacific Beach. Go on a self-guided walking tour of The Stuart Collection, a display of contemporary sculptures scattered throughout the University of California, San Diego campus in La Jolla. Tour maps are available at the Gilman Drive campus entrance. Spend an afternoon at Tidelands Park in Coronado. The park’s 22 bayfront acres feature four baseball fields, a playground, skatepark, picnic tables, small beach with an exercise course, boat access, fishing pier and bike and pedestrian paths. Explore the clear shallow tide pools of La Jolla Cove and Point Loma when the tide is low and the pools are teeming with aquatic life. Visit Julian in San Diego’s East County and enjoy this quaint, historic mining town that grew into San Diego County’s second largest urban center during the Southern California gold rush of 1869. Take a drive to the top of Mt. Soledad in La Jolla, home of the Mt. Soledad Veterans War Memorial, for breathtaking, 360-degree views of San Diego. Spectacular views also await at the top of Mt. Helix in La Mesa, offering visitors a birds-eye glimpse of San Diego’s East County communities. Witness the living legacy of California’s birthplace in Old Town State Historic Park, San Diego’s first “downtown.” The six-block park features 12 acres of Mexican lore and historical sites presented in shops, restaurants, museums and several carefully preserved or restored adobe and wooden buildings. Visit the U.S. Olympic Training Center, the nation’s first warm-weather, year-round Olympic training facility, located in Chula Vista. Free guided tours of the 150-acre lakefront facility are offered at 11:00 AM on Saturday; tours begin at the Copley Visitor Center. Self-guided tours are also available 9:00 AM to 4:00 PM, Mondays – Saturdays. Visit downtown San Diego’s Seaport Village for hours of free entertainment, leisurely strolling and window shopping. Enjoy a laid-back day of hanging out in the grass and watching the many passing yachts and ships on picturesque San Diego Bay. Fly a kite along the grassy field in the Tecolote Shores of Mission Bay Park, a 4,600-acre aquatic park. Hang 10 at the California Surf Museum, which houses a permanent collection of historic boards, photographs and videos on Highway 101 in Oceanside. During free admission day on Tuesdays, visitors can explore its colorful and educational display on the sport of surfing and the legends who braved the waters over generations. Head over to La Mesa for the annual Oktoberfest. Traditional German celebration in San Diego’s East County featuring dancing, Bavarian bands, arts and crafts and more. Visiting with the kids during October? After they have checked everything off the list above, save on other attractions, food and more with over a hundred kids free offers. Know of any other great free fall activities for kids? Tell us in the comments below.